Georges River Land Trust partnered with Friends of the Weskeag, a citizen advocacy organization, to gain a better understanding of the health of the Weskeag (both the freshwater and estuarine portions) through a volunteer water quality monitoring effort. Nearly a dozen people volunteered to establish baseline information that will allow for further study of this important estuary such as fish and aquatic habitat assessments. The state river monitoring program (VRMP) partnered with us to provide the sampling equipment, volunteer training and data analysis for the Weskeag Monitoring Project. The report for the 2015 monitoring season is here. It provides a snapshot of the river during one growing season. These results show there are potentially numerous stresses on the river as it is close to Route One. They may include non-point source pollution from such things as petroleum residues, road salt, and storm-water originating from impervious surfaces. The goal was to continue monitoring to develop long term trends while investigating potential issues and concerns, but funding for this project is no longer available. Thanks to our volunteers for their commitment to this process. If you have any questions about this program, please contact Annette Naegel, Director of Conservation, at 594-5166. Building upon efforts that began in 1990, our sister organization, the Georges River Tidewater Association, has established a coordinated and comprehensive citizen-run monitoring program for the Georges River estuary. 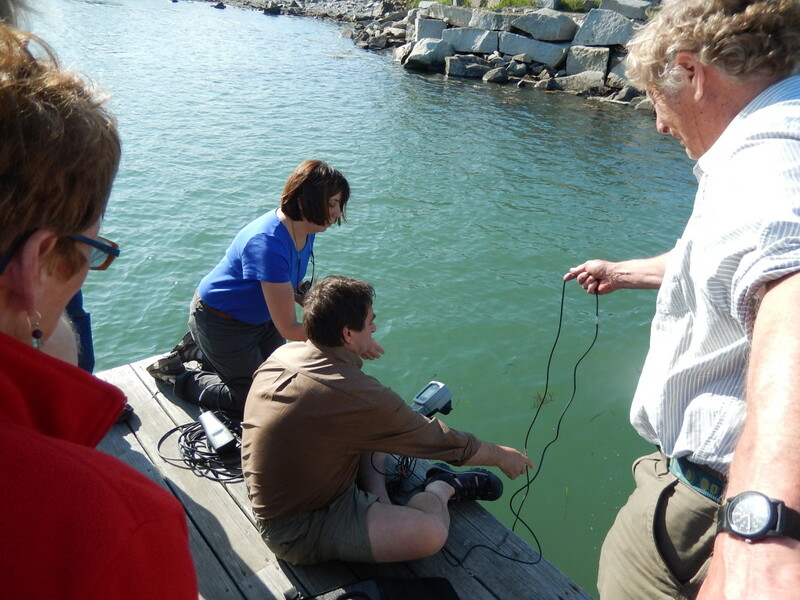 This program monitors water quality from 16 locations accessible by boat and shore and plays an important role in collecting data and providing the information needed to make decisions about the future of the estuary. “Estuary watchers” look for trouble spots, monitor trends, and are making a vital contribution toward improving and protecting the health of the Georges River estuary. As of 2015, this program has been temporarily suspended.